Steve and Cindy and their partnership Compass Rose Music represent the very best in contemporary and traditional folk music. These pages offer descriptions of their recordings and books, biographies of Steve and Cindy, reviews, streamed audio, and tour schedule. There's information on their most recent CDs, Berrymania (November 2013), Home By Dark (January 2012), The Man, and Cat Tales; and a press release for Steve's book, Songwriting and the Creative Process; even a few jokes! · Digital Downloads. Available exclusively here! We have a digital download capability in the online store here at our site, and we're excited to offer new songs as we write and record them. Now that most people already play digital music, this seems like the best way to get new work out into the world. We have "hi-res" MP3s (320 kbps) and lossless FLAC files, which are CD-quality. We're very excited to now have ten previously unavailable songs available (mostly original, one cover). Click here to see the list and descriptions of the songs, and to listen to clips. We also have downloads available for three of our older CDs (Live in Concert, The Ways of the World, A Sense of Place). And if you're interested in PDFs of sheet music, we currently have seven leadsheets to offer here (working on more, so stay tuned). The weekend of October 20th and 21st, 2018, Steve and Cindy will host the eighth Annual Bennington Songwriter's Weekend in their home town of North Bennington, Vermont. We'll be holding the workshop at The Left Bank, Main Street, in North Bennington. Attendance is limited to 12 participants, but friends and family are invited to come along to explore our lovely area. Click the title (above) to see more details and to sign up. 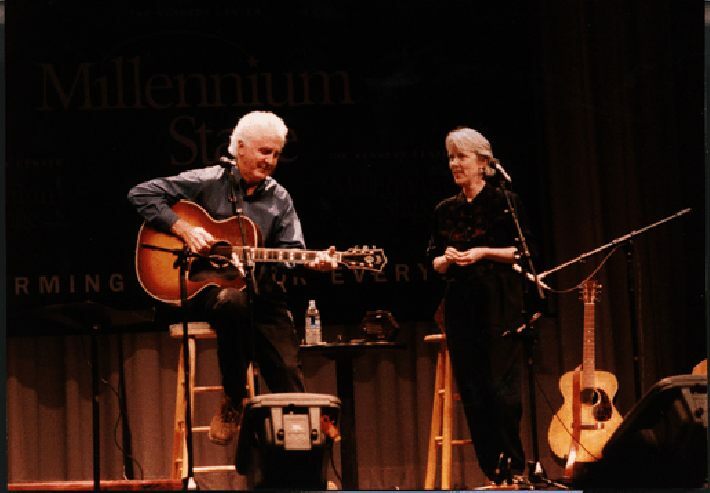 The weekend of March 2nd and 3rd, 2019, Steve and Cindy will host the 15th Annual Big Sur Songwriter's Retreat on the California Coast. Attendance is limited to 15 participants, but friends and family are invited to come along to explore the coast and to enjoy the evening concerts. We'll be holding the workshop in Santa Cruz, in the home of the Resource Center for Nonviolence. Click the title (above) to see more details and to sign up. Check out Steve's new work-in-progress, The Songwriter's Almanac / An Interactive Compendium of Songwriter's Resources. Comments are welcome. One of the songs from Cindy�s "Cat Tales" is included on a new compilation CD, announced on Valentine's Day by Blue Night Records. 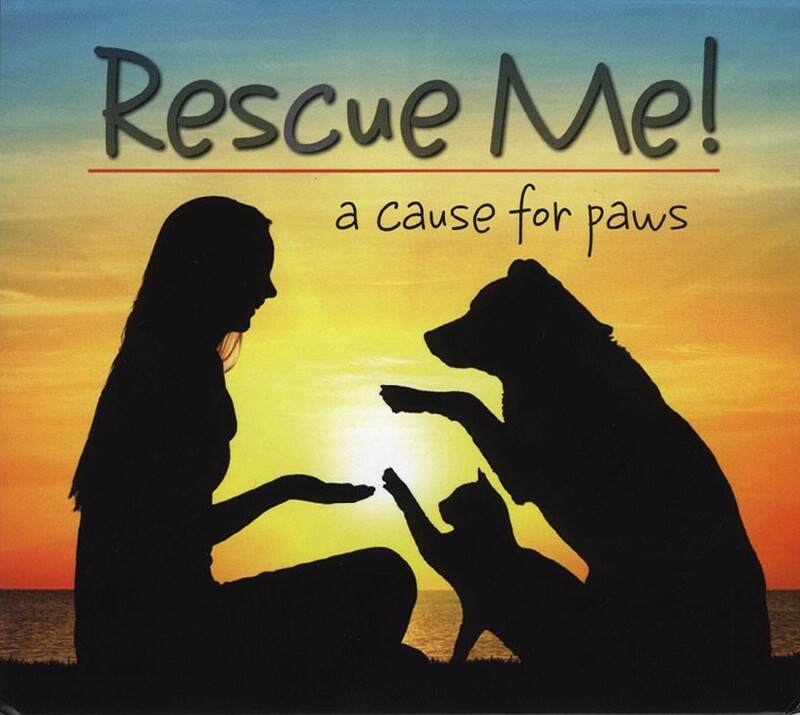 Some of acoustic music's most respected and gifted artists have come together for the creation of "Rescue Me!" which is truly a "cause for paws." All tracks are donated by the performers and writers, with profits to be donated to animal welfare organizations. Artists include Kathy Chiavola, Joel Mabus, Amy White, Cindy Mangsen, Jamie Anderson and more. You can order it now here. · Two Herdman Hills Mangsen CDs Available Again! Herdman Hills Mangsen just completed a series of Northeastern concerts, our first trio shows since 2011. To celebrate the reunion, we had a new pressing made of two of our trio CDs, Voices of Winter and At the Turning of the Year, available in our online store here. The new duet album from Steve & Cindy; this one is a tribute to their friends and talented musicians Lou & Peter Berryman. 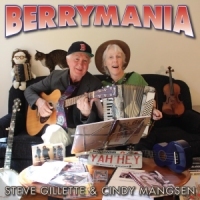 Read about it on the Berrymania page, which includes credits and track listing plus clips and lyrics for all the songs. The CD is in stock and available from their online store. 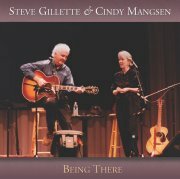 This duet album from Steve & Cindy was released in January 2012. With help from our usual compadres, Peter Davis (tenor banjo, sax), Will Patton (double bass, mandolin), Scott Petito (double bass), Pete Sutherland (piano, fiddle), Jennifer Weeks (oboe), and Jack Williams (guitar), we've assembled a mix of old favorites and new songs ranging from Child ballads to classic rags to original songs. The songs: Holy Smoke, Some Boats, California Zephyr, Sur la Route de Dijon, The Two Sisters, Blue, Birdsong, Rosmini's Rag, Seal Harbor, Manoment Waltz/The Mathematician, The Gnu, Home By Dark. · Fourtold - Available Here Again! 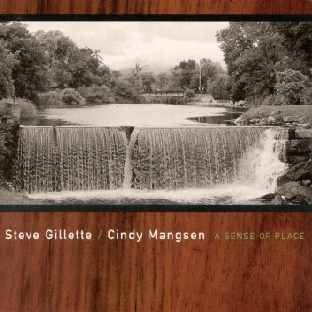 The long awaited and quite astounding quartet album Steve and Cindy have made with Anne Hills and Michael Smith. 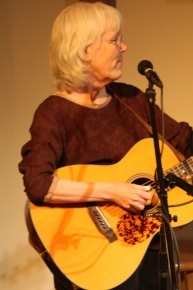 Released on Appleseed Records and available again at this web site, the album features strong harmonies and energetic performances of twelve classic story songs including Darcy Farrow, Panther In Michigan, Springhill Mine Disaster, Four Rode By, Joshua Gone Barbados, Molly and Tenbrooks, Run, Come See Jerusalem, and many others. 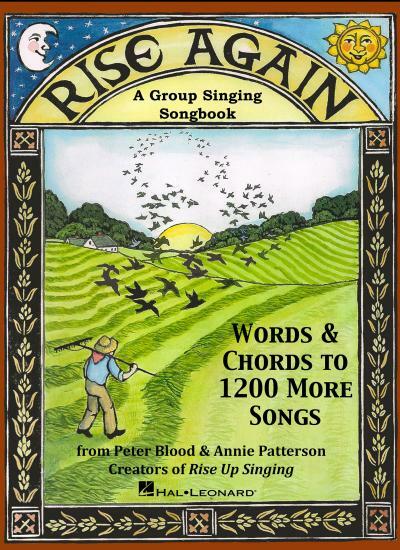 Annie Patterson and Peter Blood, the creators of the enormously popular "Rise Up Singing" songbook, are nearing completion of a new book, "Rise Again", which will contain the words & chords to approximately 1200 more songs. The songbook is to be released by Hal Leonard Books in 2015. Steve is pleased that his song, "Darcy Farrow", will be included in the new book. You can read more at the Rise Up and Sing website here, and support the new book project here. Steve was featured in the August 2007 issue of Acoustic Guitar Magazine, but you must be a subscriber to read the article at their site. They generously gave us permission to post the full article on our site here. Audio samples are included, or you may wish to order Steve's How to Play the Guitar Like I Do CD right here at this web site for his complete lessons. Check out the new Darcy Farrow Lyrics web page which also includes additonal information about the song, including the background and a partial list of people who have sung it. We have added a new lyrics page for Healing Hands, to coincide with the release of a new cover version by Don Williams. Read more on the Healing Hands Lyrics page. Just in time for the Holiday season, we have added a new Unto You This Night Lyrics web page. In addition to the lyrics, it includes a link to a video of Cindy's trio performing it, and also a link to an interesting LA Times news story about the writing of this beautiful Christmas song. Remembering JFK on the 53nd anniversary of his death, check out the Two Men in the Building Lyrics web page which also includes MP3 clips of both recordings and a link to Steve's comments about the song. A true labor of love, this 2010 CD by Steve Gillette tells the story through narrative and song of Danny Murrow, coming of age in the early days of the jazz era. Mixing fact and fiction, Steve follows Danny in his journey from battered street-waif to celebrated guitar savant. Assisted by a group of masterful musicians (including Peter Davis, Peter Ecklund, George Gillette, Jack Williams, and Randy Wolchek) on some newly-roasted chestnuts and a handful of inspired originals, the CD draws from the realms of roots-jazz, folk blues, romance and boogie woogie in a time of prohibition. Read more at the web site dedicated to the project: Steve Gillette, The Man. You may now purchase any of our CDs or books by credit card over the Internet. We've created an on-line store with all of our titles. Take a look! Some of our titles are also available as downloads from Itunes and other services. As CDs go out-of-print, we'll continue to make them available as downloads. All of the information on each title is available on our Catalog page. Imagine! Ten wonderful songs about cats! Besides Cindy's own most requested, "Rudy's Big Adventure," based on the true story of the cat who got his head stuck in the garbage disposal and lived to bask in fame and glory, there are songs from Cheryl Wheeler, Buddy Mondlock, Les Barker, Nancy White, Grant Livingston, The Berrymans and others. No cats were injured in the production of this fine recording. Songs include; Meow, Open That Can, The Cats of the Coliseum, Rudy's Big Adventure, The Familiar, Our Cats, Guide Cats for the Blind, My Pretty Kitty, Le Chat Gris, and The Dog of Time. 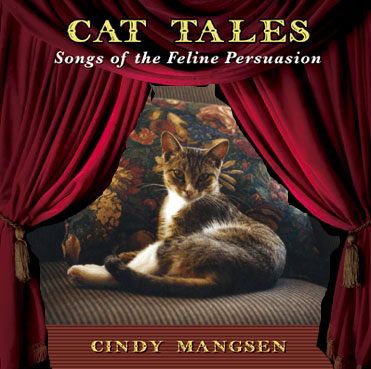 This CD of cat songs would make a wonderful cat lovers gift; click on the links in this sentence for clips of the songs, and a video of Cindy singing Rudy's Big Adventure. 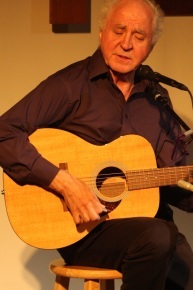 Biographies, reviews, downloadable photos and a list of artists who have recorded Steve Gillette's songs. In July of 2004 Cindy and Steve and Jack Williams took a group of 63 intrepid folks on a thrilling journey to the far North. We boarded the Holland-American Lines, ms Statendam, sailing on Sunday, July 18th for a thirteen day cruise and tour of Alaska. Here are some photos our friend Cathey Roberts has provided of some of the scenery. Steve & Cindy's 2001 duet album. A musical glimpse of New England with Pete Sutherland, Mark Schatz, Scott Petito, Jennifer Weeks and Jack Williams. Steve's manual for songwriters. The most respected and widely used book of its type. Read excerpts from the work in progress, surviving and thriving as an independent artist. A collection of sixty or so of the best jokes we could find. Visit the Kennedy Center archives. Purchase Any of Our Compass Rose Music Titles On Line. our schedule, and of course, the jokes.